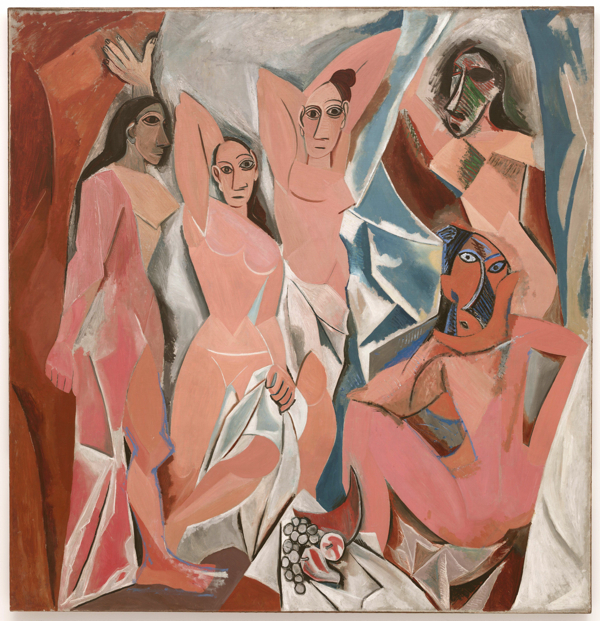 Pablo Picasso was never happy with the name, translated as "Young Ladies of Avignon," given his painting. He always called it "Le Bordel" (The Brothel), for that is what he depicted. But the painting was done more than 100 years ago and both the subject and the style where contoversial, leading to the "cleansing" of the name. This painting is considered especially important because it is here where Picasso begins to explore a whole new idiom, Cubism. The concept behind the column "Painterly Palette," is found in my manifesto: I believe you will always choose the right paint color, if you study the color combinations chosen by great artists. Plus a little color inspiration always is fun. I use the Pantone system because it can be readily copied if you see a color you like.